Sassari is the second main city in Sardinia, with its 130,000 inhabitants . Originally it was called ”capo di sopra” (”the city at the top”). In Sassari there is the University and archiepiscopal location. Since 2016, it’s also the metropolitan area’s county seat in the North Sardina.
. Monte d’Accoddi, a monument builted in IV B.C. This monument has the distinctive characteristic of a Ziggurat. It’s an unique site in the whole Europe. .The old town with its mediaeval city walls. 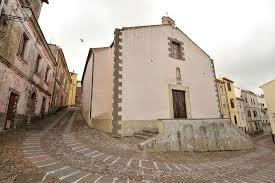 In the old town there is the Cathedral of San Nicola (patron saint).
. The Santa Caterina’s Dome.
. The two modern skyscrapers in Piazza Castello. There are also different important squares, dedicated to well-know people such as Piazza Domenico Alberto Azuni and Pasquale Tola. There is also the hemicycle ”Garibaldi” and Piazza Italia. One of the icon of Sassari is the Rossello’s fountain. The traditional dishes are ”cioggia minudda” (small snails) and ”fainè”. Sassari gave its name to the historic brigade of the Italian Army, known as ”Diavoli Rossi” (”Red Devils”). 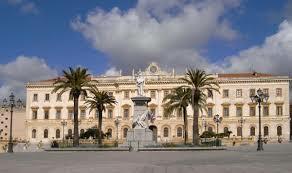 Sassari is also the birthplace of Antonio and Mario Segni, Enrico Berlinguer and Francesco Cossiga. Sassari has a special place in the sport’s history thanks to Dinamo Basket. In 2015 it won the Championship, the Super Bowl and the Italian Golden Cup. Last year the Sardinia Film Festival had a great success in Alghero. This year the Festival gets back to the Riviera del Corallo. In this place you can find sun and beaches, culture and history. It’s one of the most beautiful places in Sardinia and in the Mediterranean Area. 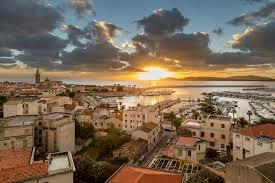 Alghero is one of the most famous places in the island. 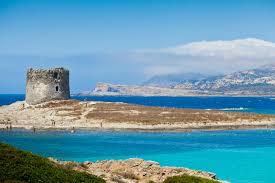 It’s located is the Sardinian West Coast. 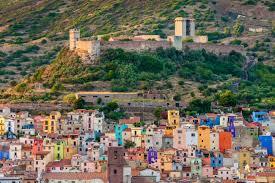 It’s an ancient village with medieval origin, also famous for fascinating sunset on the horizon of Capo Caccia. The historic centre is famous for its golden sea walls with the original cannons and catapults. The area is well-known for archaeological and naturalistic sites, such as the nuraghe of Palmavera, Grotte di Nettuno, the Natural Park of Porto Conte. There are also the magnificent cliffs, amazing place for climbing. Alghero is surrounded by many different beaches like Lido and Maria Pia, closed to the city. There are also the bucolic beaches like La Speranza, Le Bombarde and Mugoni. The last one is Porto Ferro, suitable for surf. The airport of Fertilia, during the Second World War, was the air base used by a French pilot and writer: Antoine Saint Exupery. For a breath-taking panorama, the best place is Citadel of S’ena Tunda. From this site, it’s possible to admire the North Western coast. The Union of Municipalities includes these picturesque villages: Romana, Mara, Padria e Monteleone Roccadoria.